25 February 2011. The human body contains thousands of metabolites, and metabolomics scientists plan to measure them all (see Part 1). But how to do so remains rather an open question. We are just starting to learn how to mine this rich dataset, said Rima Kaddurah-Daouk of Duke University in Durham, North Carolina. That makes developing the right technology and software a big part of metabolomics research today. Metabolomics is like a fishing expedition, said Murali Doraiswamy, who is also at Duke and collaborates with Kaddurah-Daouk on metabolomic biomarker projects. Scientists start by trawling for anything and everything they find, and net a glorious mess of spectrographic signals, each indicating a metabolite. Then, researchers narrow their focus to the individual swimmers. But at this point, many metabolites in a given experiment are unknown to science, so one of the main tasks at this stage is simply to identify the pieces. In the case of neurodegenerative disease, scientists have completed early pilot studies (see upcoming Part 3 and Part 4), but have plenty more work to do. Part of the challenge is to get metabolomics scientists to agree on their fishing methods, said Jules Griffin of Cambridge University in the U.K. Without set protocols, one lab’s catch cannot be compared to another’s. Griffin and other researchers in the Metabolomics Standards Initiative are working to develop specific recommendations. First, scientists must choose their fishing nets. There is no single, one, uniform platform available, said Mikhail Bogdanov of the Weill Cornell Medical College in New York City. 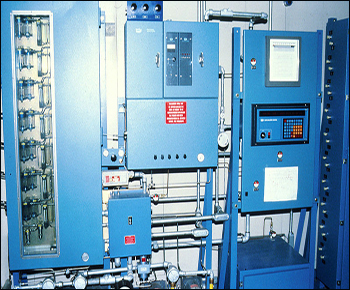 The available options range from liquid and gas chromatography to mass spectrometry and nuclear magnetic resonance (NMR) spectroscopy to electrochemical detection; each will reveal a subset of the metabolome (reviewed in Kaddurah-Daouk et al., 2008). Techniques are often used in combination, and each has its advantages and disadvantages. For example, electrochemical detection is the most sensitive, Bogdanov said, but lacks the structural information NMR provides. These methods spit out long rows of peaks, and then scientists use statistics to crunch the data and pull out meaningful signals. The hope is to find a particular up-down-up-up-down pattern that defines a certain disease state, compared to controls. What tissue should scientists select as their fishing hole? For his animal studies, Griffin prefers brain tissue because it is the site of disease. But many scientists are pursuing cerebrospinal fluid (CSF), or debating the relative merits of plasma versus serum. Blood fluids, in particular, are easy to access, and the effects of nervous system changes often spill over into the periphery. For example, brain cells need a ready supply of glucose; if that supply is interrupted, the blood will likely show effects, too. CSF is not always the best reflection of what is going on in the brain, Bogdanov said. Sometimes, in blood, we see more changes than in the CSF. However, blood is also likely to include irrelevant information, ranging from what people had for lunch to their sleep habits. 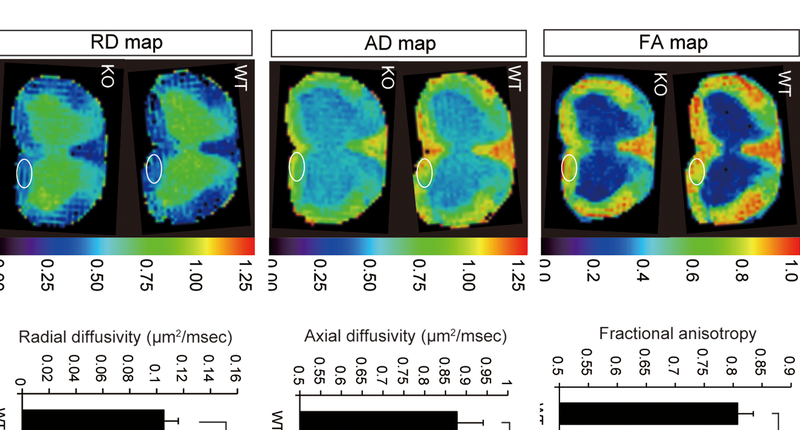 Another noninvasive option is to use imaging, since scientists already have the methods to visualize, for example, aspects of the brain’s glucose metabolism via positron emission tomography (see ARF related news story). Then comes the time when scientists catalogue their catch. Several groups have started databases for this purpose. The Human Metabolome Project, at the University of Alberta in Edmonton, Canada, is a multimillion-dollar effort to build a freely accessible database of metabolites; it contains more than 7,900 so far (Wishart et al., 2007 and Wishart et al., 2009). In addition, the project is collecting physical samples of metabolites. Elsewhere, The Scripps Center For Metabolomics database comprises more than 40,000 entries. MassBank is a database of high-resolution mass spectra of metabolites hosted at Keio University, Tokyo, Japan. It includes more than 30,000 entries that researchers can scour. In the commercial world, Metabolon, Inc. (Ryals et al., 2007) in Research Triangle Park, North Carolina, has a database of more than 6,000 metabolites. And what kinds of fish are in the nets, anyway? Just as the heat maps of transcriptomics or the 2-D gels of proteomics don’t mean all that much by themselves, those rows of peaks are only the beginning. Just describing what is up and what is down does not cut it anymore, Kaddurah-Daouk said. The fun truly begins when biochemists—faced with a peak indicating an unknown metabolite’s composition but not its molecular architecture—must figure out how the molecule is put together and give it a name. And then, they have to fit it into the body’s biochemical pathways to glean its full import. Once the catch is in, tallied, and placed it its biochemical context, researchers hope that metabolomics plus pharmacology will lead to new treatments. They have already coined a mouthful of a name for the new ome: pharmacometabolomics. At Duke’s new Center for Pharmacometabolomics, Kaddurah-Daouk is building databases that cover metabolites in central nervous system diseases such as Alzheimer’s and schizophrenia. The center is uniting mathematicians, physicists, geneticists, and clinicians from many institutions, working together to determine metabolic indicators for people who do or do not respond to current drugs. With those patterns in hand, scientists could predict drug response and select the proper treatment for an individual faster. It is a familiar promise—genomics and proteomics offer the same grand goals. Whether metabolomics will live up to its touted potential remains to be seen, Kaddurah-Daouk said: This is hard work. It is work that takes time; it is not going to solve all of the problems quickly. This is Part 2 of a four-part series. See also Part 1.